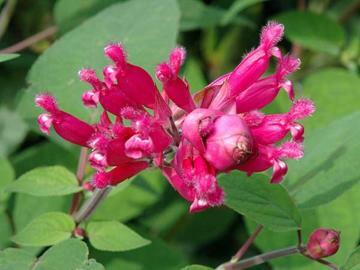 Hybrid producing large spikes of vivid rose-pink flowers in late summer and early autumn. Bushy, sub-shrubby perennial with attractive foliage of large softly hairy rich green leaves. Needs a sheltered position with protection from very hard frosts. Reasonably drought tolerant once well established.